How did we do? Pretty well overall. We predicted massive volatility and we got it. The massive market capitalizations of 2017, rounding up to $1 trillion, have deflated down to $100 billion and change. Many assets melted 80%+, but we will call out Bitcoin Cash specifically, which fell from $40 billion to less than $3 billion after yet another rough fork at the end of the year. On the other extreme, EOS raised $4 billion in ICO funds. New smart contract platforms indeed came to market – from EOS to Hashgraph to Dfinity – but Bitcoin dominance has stayed fairly flat at 40-60%. The negotiation against incumbent sovereigns and traditional banking moves forward; regulators across the world have placed many 2017 digital assets in a regulated “securities” bucket, with enforcement actions starting to target individuals and exchanges. At the same time, institutions like Fidelity have launched crypto custody divisions, the NYSE is launching crypto exchange Bakkt, and the number of enterprise players in the space has grown like weeds. While no ETF was launched due to SEC concerns around market maturity, an Exchange Traded Product did launch in Switzerland using VanEck index data. One part of the digital investment management story is the shortening of the value chain in wealth and asset management. As active asset managers (fund manufacturers that pick investments to create alpha) face compression driven by asset flows into passive products -- indexes packaged in ETFs -- one answer form asset managers have been to build out their own distribution channel, where they control asset allocations. This is why roboadvisors have primarily gained traction with manufacturers (revenue sale) and not distributors (efficiency sale). So let's highlight a few relevant data points. First, Autonomous asset management analyst Patrick Davitt just put together our October sector data, which is highlighted below. Looking at over 9,200 active funds and $9.3 trillion in assets, a full 63% under-performed their benchmark in October. Out-performance in a down-market is supposed to be the reason active management exists! As for 2017, there was a 50% chance of out-performance, a coin flip on whether it's better to hold an active fund or just the index. 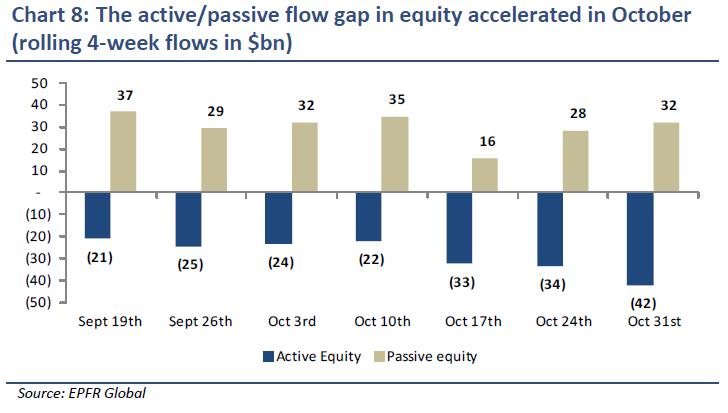 In terms of actual assets, regardless of market environment, about $20-40 billion is flowing out of active funds and into passive funds. Hard to find a more clear example of a secular shift. Part of this story of course isn't fair to fund managers. When bad things happen in an active fund, you can blame and fire the fund; but in a passive index, you blame the market and hope it recovers. This is a permanent, psychological disadvantage. The second part of the story is the fantastic Backend Benchmarking Robo Report (link below). The analysis follows the performance of 24 roboadvisors, with several over a 2 year horizon, which we partly highlight. Notably -- Merrill, TIAA, Zack's and Morgan Stanley are all listed as incumbent robos. Our estimate of $600 billion in the strategy feels increasingly correct. In the charts below you'll see 2 treatments of the data: (1) annualized returns vs standard deviation, sized by Sharpe ratio and colored by incumbent/startup status; and (2) an upside and downside capture ratio plot, which shows how good an allocation is at capturing alpha during market momentum. In the first analysis, incumbents like FidelityGo and Vanguard look stronger than the independents in terms of the unit of return per unit of volatility. In the capture category, TD Ameritrade, Personal Capital and Wealthfront stand out. Merrill Edge is the worst on capture, and FutureAdvisor has the worst 2-year performance. What's most telling perhaps is that 77% under-performed their benchmark (as set by this third party) in Q3, and 82% under-performed over a 2 year period. Hard to fire the whole market. The center of gravity for digital wealth in the US is the In|Vest conference, and the update this week from its publishers is excellent. Let's call attention to the following phenomenon. All of a sudden, everyone wants to claim to have roboadvisor / digital wealth assets, and to get rewarded from a valuation perspective for understanding the future customer. 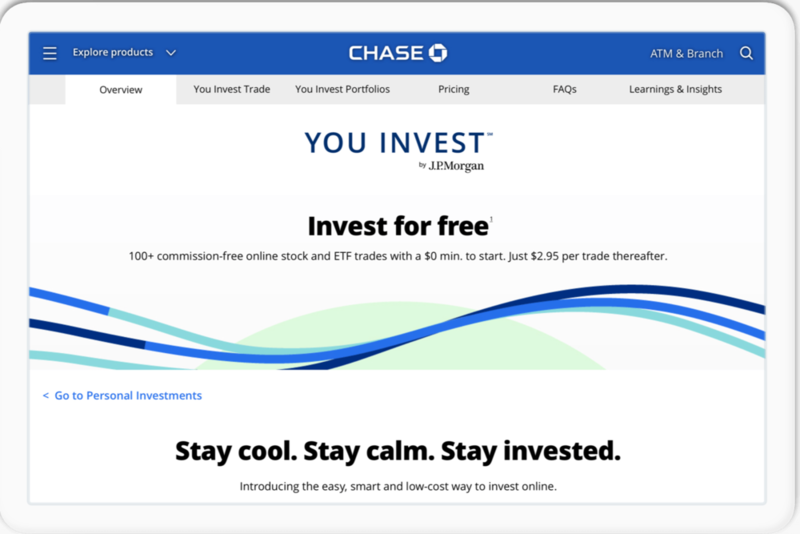 As soon as JP Morgan started bragging about its YouInvest free trading app to compete with Robinhood and Schwab, Bank of America released an update on how much asset under management sit inside of Merrill Edge, its online investing division, and its digital strategy. So here are a few interesting numbers on the size of the robo market, broadly speaking. For incumbents, Merrill Edge now has $200 billion in assets under management. This is, end of the day, the small client channel. But after combination with Bank of America, Merrill gained a retail footprint in the form of bank branches. The firm is planning to put 600 new investment centers into those branches by 2020, for an omni-channel digital client experience. Another examples is Ric Edelman's post-merger mega RIA, composed of Edelman Financial, Financial Engines (formerly FNGN, the original 401k roboadvisor), and the retail footprint of the Mutual Fund Store. That's $176 billion in AUM, plus 125 physical locations, plus Ric's own $15+ billion. Let's add to that Schwab ($33 billion) and Vanguard ($112 billion). Fidelity, TD Ameritrade, Capital One Investing and others also have a similar service, so let's round that up to $10 billion generously. On the disruptor side, we have Betterment ($15 billion), Wealthfront ($11.3 billion), Personal Capital ($8 billion) with the most assets, and maybe another $3 billion from players like SoFi, WiseBanyan and the others. Let's be kind and say micro-investing services (Acorns, Stash Invest and the rest) have $2 billion between them. That's not a knock -- those apps have millions of users, but they don't optimize for AUM. For good measure, let's throw Coinbase into the mix as well, with $20 billion in custodied crypto assets managed in a digital app. The tough part remaining is the B2B2C players in the form of SigFig, AdvisorEngine, Jemstep, FutureAdvisor, Trizic and Envestnet. We'd be willing to bet on $50 billion in total true digital delivery. Sum all that up, and we get to $650 billion. Now, these are very loose definitions. You could still add in (1) quite a bit in asset allocated crypto assets, (2) the Asian fintech digital investing numbers (e.g., Ant Financial), (3) the digital bank arms of the Europeans (e.g., BBVA, Nordea) and then get pretty close to a trillion. Do we still think roboadvice is a failing theme? JPMorgan is taking on fintech unicorn Robinhood. 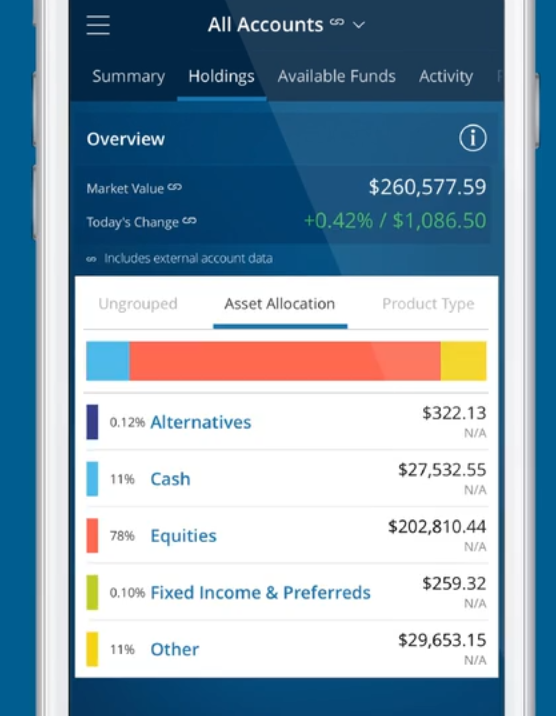 The bank is launching a service branded You Invest, directed at their 47 million digital/online banking clients, which includes (1) 100 free trades/year, $2.95 thereafter, (2) free investment research, (3) unlimited free trades if a Chase Private client (typically $100k in holdings), (4) portfolio construction tools, (5) and following up with a roboadvisor in January. This comes on the heels of its announcement of Finn, the mobile-first neobank for its customers, which preempts Revolut and Monzo from doing too much damage in the States. Sounds like a bunch of proprietary Fintech offerings, all priced to blow up the venture capitalists. And JP Morgan isn't the only one. 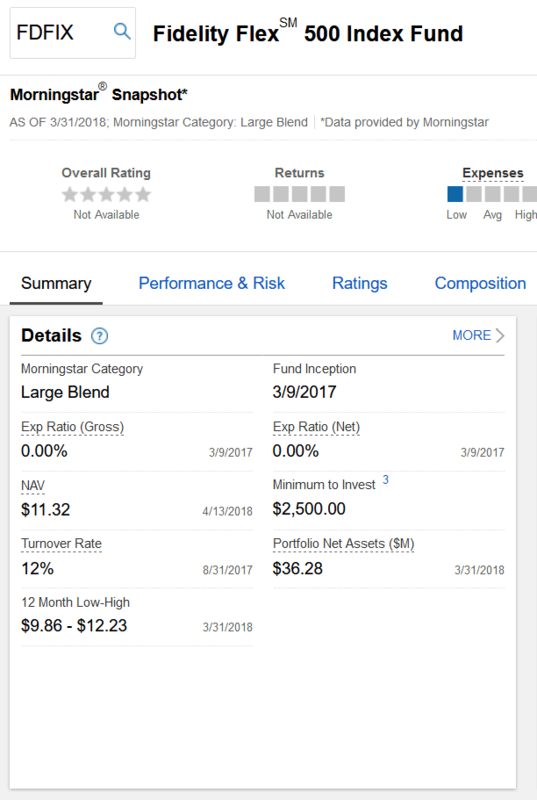 Remember, Fidelity just recently launched an ETF that costs 0 bps in management fees. They can afford to do this the same way that Schwab can give roboadvice away for free -- bundling. If the firm doesn't make money on investments, it still has cash sweep; or if it doesn't have commissions, it has assets under management; or if it gives away the core, it can still charge you for satellite. Such mega-banks with diversified business lines are going to fight Fintech companies by starving them of oxygen. It is essentially reversing the strategy of the unbundling Fintechs, who use venture capital funds to price undercut incumbents. But in this case, the incumbent copies an innovation and gives it away for free. The competitive response from the start-ups has been to also rebundle. FinancialPlanning.com calls this the "super robo". See for example microinvesting app Acorns, partnered with PayPal, offering its 1mm+ users a debit card with a checking account. Or look to SoFi, a student lender with roboadvice and insurance offerings. Over the pond, German neobank N26 has every permutation of financial product a Millennial may want to buy on their phone. All these firms will need to have payments, savings, wealth, and insurance under one roof, powered by artificial intelligence, customized to perfection. Can they outspend JP Morgan's $10 billion per year? And did we mention that Bank of America, Wells Fargo and Citi are in the game too? Towards the end of last year, we noted that there was a circularity in the crypto, private and public markets. Large ICO launches were inspiring private companies to follow as well (e.g., Kik), public companies changed their names to blockchain pretenders (e.g, Long Island Ice/Chain), crypto companies pointed to this as progress and Bitcoin went up. It wasn't purposeful market manipulation, but a hype cycle reverberating in a small room. What we're seeing now is, well, kind of worse. Tezos raised $232 million when the price of Ether was about 50% or less than it is today, so about $500 million now. The result is a lot of lawsuits, no product, and the formation of a $50 million venture fund. Binance raised $15 million through its ICO, which now trades at over $2 billion. The exchange is launching a $1 billion venture fund. Huobi raised $300 million, and though the token trades at a discount, it is also launching a $93 million venture fund. EOS, the largest ICO ever at $4 billion, is committing $1 billion to venture through partners like Galaxy Digital. Another example stuck out at us from a recent Coindesk article, where Meltem Demirors described this cycle -- "[Blockchain Capital invests in Ripple, which owns XRP currency]. Ripple took some of that XRP and gave it back to Blockchain Capital. Blockchain Capital then turns around and invests it in Coinbase ... Coinbase now created a venture fund investing in startups Blockchain Capital is also investing in, who are then turning around and investing in startups with ICOs." This is billions and billions of capital that were invested for one purpose -- to help the fund-raising team build software products that investors want to use -- that are being re-purposed into another direction entirely. Hey, maybe you hired me to program this website, but I decided manage your retirement portfolio instead. One result is a skill mismatch: lucky coders are not professional investors. Another result is the loss of focus. And the last is the systemic risk to the whole ecosystem. If the investment returns are based on financial engineering and memes, rather than some real economic activity to underpin our excitement, then a regulator pulling hard on one thread will unwind the entire experiment. We’ve long said that the digital wealth is finished. We don’t mean that it is dead, or that it’s fully adopted by the customer, or that the startups won (they haven’t). What we do mean is that the answer is fully known, and it is only time that will move us along the adoption curve for a solution that is now permanently part of the wealth management process. We have two data points on this from last week — Betterment and Vanguard. In the latter case, Vanguard is partnering with German fintech company Raisin, which has 100,000 customers and €5b in assets. Raisin wasn’t yet an investment platform, but instead an international banking app. We’ll be self-indulgent and call it a neobank, one that integrates with savings products across Europe and allows customers to pick the best interest rate. The accounts are insured, and the financial institutions underneath are nothing more than widget manufacturers. This is bank-as-a-service, and we expect to see more of such apps after PSD2 is fully adopted. With the Vanguard partnership, the company will be adding roboadvisor capabilities built out of ETFs. Completing a financial product suite in such a way has been also done by N26, SoFi, and other fintechs that have customers but not enough revenue. So which roboadvisor wins here—startup or incumbent? And the other example of how the lines are blurring and digital wealth is just wealth management, is Betterment. The company announced several features last week which suggest a re-engineering if some of its asset allocation and trading systems. 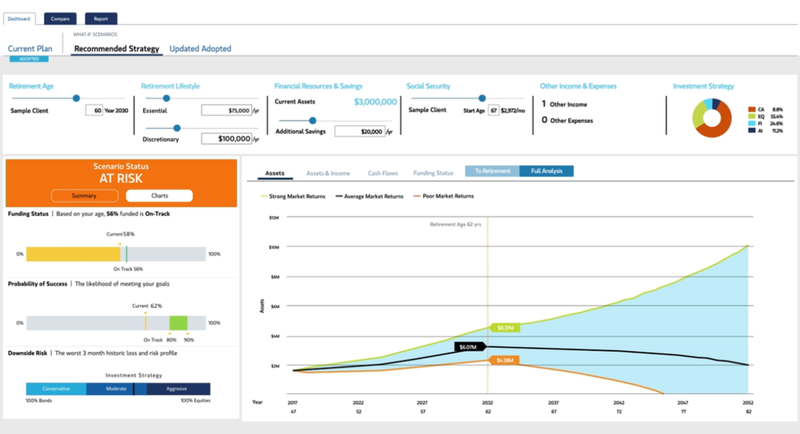 At the B2C end, the firm is allowing its larger customers ($100k+) to tweak portfolio parameters while retaining the other benefits of the automated portfolio. This is useful for creating the impression of value (and price differentiation), as well as battle the perception that B2C robos are commoditized. But more importantly, this architecture change likely stems from the financial advisor side of the business. 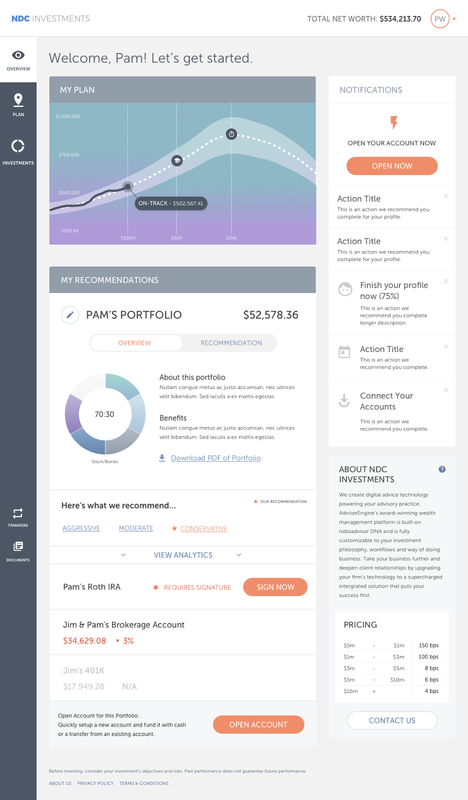 Betterment had an early lead in their advisor channel as a robo-TAMP (turnkey asset management platform), and was particularly effective with advisors that wanted to outsource their investment management. But, it’s capability was narrow — a channel for millennials rather than a digitization strategy. Companies like SigFig, FutureAdvisor, AdvisorEngine* and Jemstep have all been more advisor-accommodating. The new change allows advisors to tweak asset allocations. That is a "give" to traditional financial firms and their approach. In each of these examples, a small step is taken towards the collision of different solutions into the same thing. Digital wealth is complete—we can see what it looks like in Raisin, in Betterment, at Vanguard, at Merrill Edge, at UBS, and Fidelity and many others. 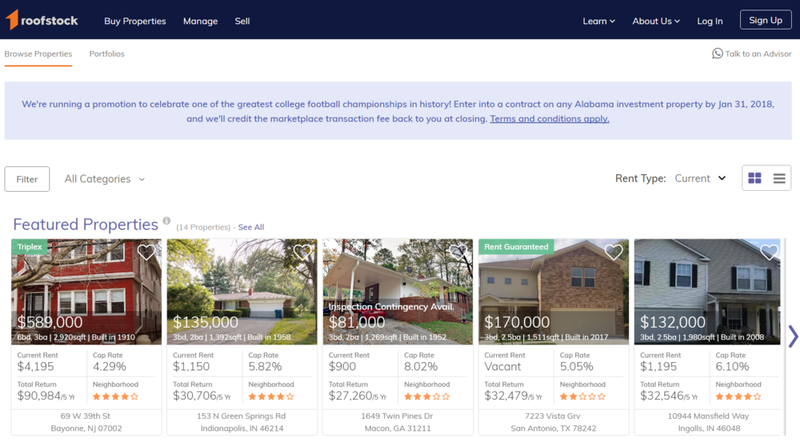 Independent advisors can rent the exact same thing for their clients too. And on the broader scale, we see not just digital wealth, but personal digital finance getting glued together into what may eventually resemble WeChat. A Frankenstein of payments, savings, investments (traditional and crypto), and retirement, with an overlayed AI financial assistant doing your bidding. This ain’t bad at all for the customer, but probably not so great for the robo venture investor. One of our key predictions for 2018 was the rise of vanilla investment product packages for digital assets. That means we would get to see ETFs and boring-old portfolios, rather than the wild contortions of 2017, where public companies pretended to always be into blockchain to get a crypto halo. And in large part, we put the responsibility for irresponsible retail investment behavior squarely at the feet of American regulators. Instead of a 5 bps ETF with some crypto exposure, we continue to see coin mania and sentiment-driven speculation. Coinbase is not standing still, and has announced a subsidiary called Coinbase Asset Management that will oversee a Coinbase Index Fund. While Coinbase has never been one to list a lot of assets, it is disappointing to only see 4 crypto currencies (BTC, ETH, BCH, LTC) in the package. Not to mention that this product comes with a $10,000 minimum and a 2% annual management fee. Looking at crypto assets, 2% may not sound like much given 1000% returns last year. Looking at digital investment management, 2% sounds like 10 times the price of the entire Betterment service. That price is expensive and inefficient, and is another reason why we need an ETF structure. 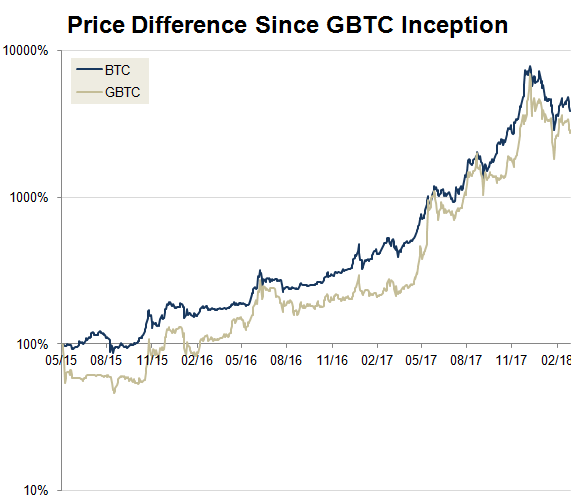 Last, investors have a track record of experience with the Bitcoin Investment Trust structure (about $2 billion of GBTC), which shows some of the disconnect between holding a crypto asset directly, versus through a wrapper. The wrapper can trade at a discount or a premium to the actual assets it holds. Below you can see that depending on the time period, you would have had quite different return profiles investing in Bitcoin directly versus the investment trust. And at times, you would be buying the fund where the net asset value was 20-30% higher than the value of the holdings in it. The solution for better pricing is more liquidity, not less, and lower fees, not higher. The path of digital investment advice is going according to plan. We (with big help from Patrick Davitt @Autonomous) predicted digital wealth to grow to between $500MM-$1.5T in AUM by 2020 in the Fintech Phenomenon analysis, and the latest estimates from Cerulli place is at $220 billion today. Of course most of that is Vanguard, Schwab and other incumbents, which was also expected given the product set and the customer acquisition dynamics in place. But guess what! Roboadvice as a theme is already integrated into the asset management ecosystem and you are too late. So what's next? Well, that depends who you are. If you are an incumbent, then there is a desperate rush to build artificial intelligence into the investment management product. This is hard, but you can see the investment dollars being poured into the space. For examples, look to Man Group saying to adopt big data or be "eaten alive" (by what? computers or something? ), JP Morgan copying BlackRock in creating a quantamental / equity data science unity within its asset management business, and Wells Fargo augmenting research analysts with AI. To see how bankers think about this AI augmentation, see this article on the use of AI at BAML. 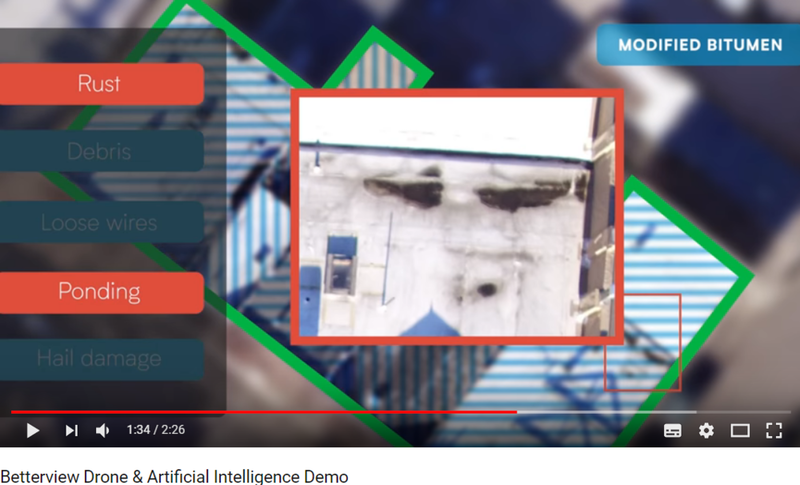 Augmentation is giving the power of automated human judgment at scale, backed by data, to humans who can apply it on particular fact patterns. More simply, it's letting AI do the first draft, and then having people finish the work. If you are a consumer-facing fintech startup, then you probably gave up on roboadvice a while back (except for the top 3 or so). Instead, some companies have scaled massively by finding a very concrete paint point and creatin well-designed relief. See SoFi with student loan refinancing, Robinhood with mobile-first stock trading, Acorns with automated savings. In each case, the pain point is immediate and specific -- save $5k on student debt now, buy AAPL without paying $10 now, save $100 this month starting now. But these businesses are too narrow to fill out their current unicorn valuations. So they must broaden. 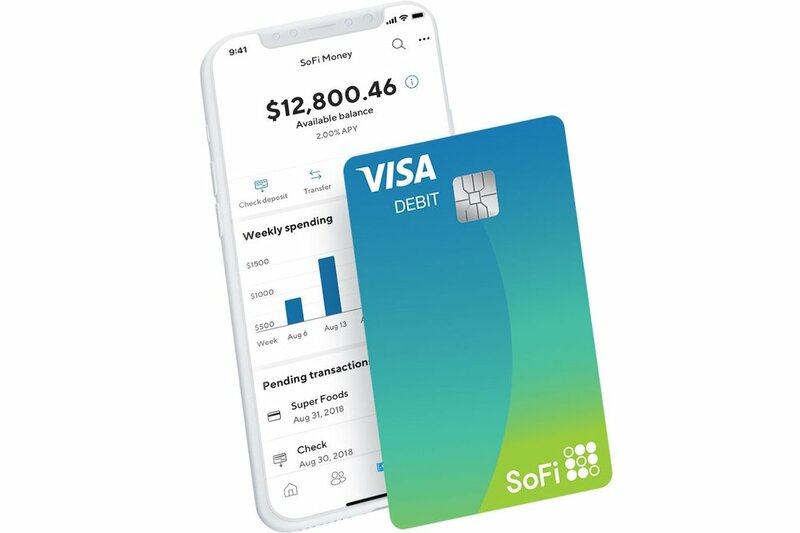 Thus SoFi is going to offer checking accounts (without a banking license, ha!) in the spring. And Robinhood is following neobank Revolut into offering crypto trading on its trading platform. That makes sense -- compete where traditional finance can't. See how Nordea bank is forbidding employees from trading Bitcoin, or how Vanguard refuses to launch a Bitcoin ETF. We have you on the record Mr. Buckley! But it doesn't always work out. For example, Stripe is subtracting rather than adding. 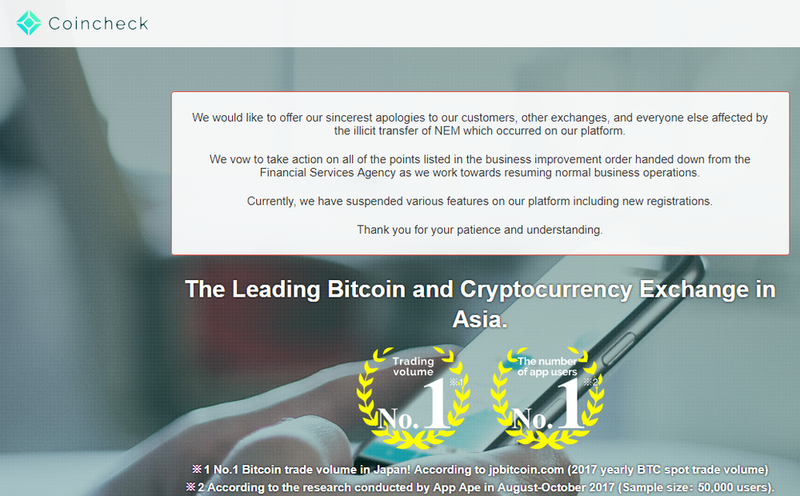 They were one of the first payments companies to accept Bitcoin payments, but are planning to remove Bitcoin due to slow transaction times and expensive fees. That's been a byproduct of the investment rush, and could be later solved by something like Lightning. But, you know, they say they might use Lumens instead, a crypto coin with the former Stripe CTO on its board. We've already written about rent seeking before, so we'll keep the finger wagging out of this one. ROBO ADVISOR: Game Over for Equities? Let's land the ship in traditional equity markets. Josh Brown of Ritholtz Wealth Management summarizedthis development as "Game Over". State Street announced a new line-up of prices and names for its SPDR ETF family, which you can see in the graphic below. The average expense ratio shifted from 16 basis points to 6 basis points, a 65% decrease in cost for exposures to nearly any asset class for the regular investor. We have long been saying that industry digitization leads to revenue collapse in the short term as products become more automated. Think about music industry revenue falling 50% since the early 2000s, the retail industry owned nearly 50% by the online retailer Amazon, and roboadvice creating a wealth management price point at 25 bps instead of 150 bps. Here we are with investment management. Not surprisingly, asset managers are shifting down the value chain from manufacturing financial product to building technology solutions for financial advisors. We discussed BlackRock's digital wealth strategy last week. Competition to gain market share and drive the cost of delivering financial advice is accelerating. This week we want to also highlight one way of mismanaging such acceleration. TD Ameritrade announced that it was refreshing its ETF Center for financial advisors with the SPDR line up, an in the process removing iShares and Vanguard alternatives from the no-transaction-fee line up. Here's why this matters. TD Ameritrade is a custodian, and holds hundreds of billions of assets overseen by independent financial advisors. It also has several partnerships with private-labeled roboadvisor technology providers, like SigFig, FutureAdvisor and AdvisorEngine. This software is used by advisors to deliver automated asset allocations for their smaller clients, which can only be done using no-transaction-fee ("NTF") instruments, otherwise the commissions from trading would destroy any gains on small portfolios. But of course, it's hard for a broker to make no revenue at all from these assets, which were mostly in Vanguard and iShares allocations. Michael Kitces, an industry consultant, suggests that State Street is paying for that NTF shelf space in a way that the other fund companies were not. The downside is that now the financial advisors have to rebuild their allocations with new products, and trigger capital gains for clients when rebalancing from Vanguard to State Street. Oops. The crypto economy is moving faster and faster across regulation, assets and new financial ecosystems. We spent much of last week trying to update our understanding of where everything stands on October 2017. Here are a few key data points. First, we have been tracking token launches since the Token Mania ICO report in July, with the criteria that the ICO must have already raised the capital and that the total raised is greater than $1 million in USD equivalent. Our current figure up to date is $3.04 billion. The underlying data sources leverage multiple ICO trackers -- ICO Stats, Coindesk, ICO Alert, ICO Data, Token Market, Token Data, Smith+Crown, and others. In the chart below, you can see the additional context, which is quite sobering. We pulled total Bitcoin and Blockchain funding, updating our Fintech Phenomenon charts, from independent and corporate venture capital since 2013 globally. It is hard not to conclude that the market has shifted considerably from Enterprise blockchain to the public chains in terms of committed resources (even if you assume 50% of 2017 ICOs are scams). This data was used by CNBC in Wall Street veterans are trickling into digital asset management to highlight the platform shift. A similar story can be seen in the inception dates of crypto funds. 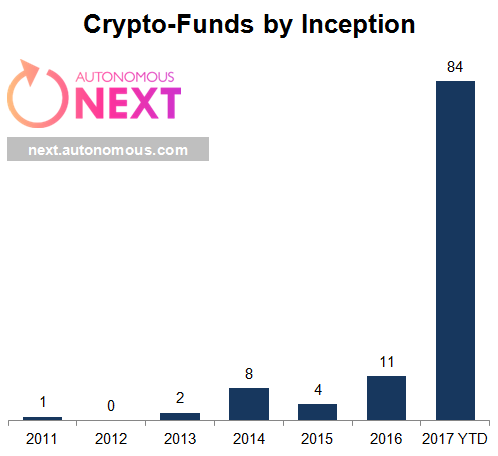 We continue to build out a database of crypto hedge funds, which follow one of the following strategies: (1) liquid venture investing in tokens, (2) cryptocurrency traders and former hedge fund managers, (3) token baskets, akin to software fund-of-funds, (4) crypto-indexes and (5) artificially intelligent or automated bot funds. For now, we exclude investment vehicles built by traditional asset managers that package exposure to a single currency, such as the Bitcoin Investment Trust from DGC/Grayscale. While data visibility in this space is quite poor, and not all "funds" are actually funds, we are able to piece together a fairly coherent story about what is happening. Our current view is that 75%+ of these funds were started in 2017, that in total they manage between $2 and $3 billion, but aspire to manage $8 billion, and that size is concentrated among the few early movers like Pantera and Polychain. You can see this data used by Reuters and CNBC. Please email us or tweet at us if you'd like your firm added. Are asset managers on the way to being technology companies? Financial Planning reports BlackRock is launching a dedicated Digital Wealth division, and Bloomberg reported it is looking to expand the technology portfolio to include risk assessment firm Capital Preferences. The asset manager previously purchased FutureAdvisor, invested in European robo Scalable Capital, funded iCapital Network, and delivers enterprise risk and portfolio management software Aladdin to investment managers. The firm is moving closer to becoming a technology enabler of its distributors -- broker/dealers, wealth managers, financial advisors -- which is a strategic play to be closer to the end customer and enable the selection of underlying investment products. Additionally, the firm has been building out its "quantamental" investment product, which combines big data and associated machine learning tools with fundamental security selection. The first angle is the top-down industry view. There is no such thing anymore as "non-digital" wealth. All wealth management is technology powered, and some is powered by better and faster technology than others. Consider the Envestnet/Folio deal and the wealth tech powerhouse that created. Or the assets that Schwab and Vanguard have gathered under their branded umbrella. All wealth services, bar none, face greater automation, better consumer interfaces, and an increasing reliance on third party software. So in that sense, even though BlackRock had been fast in buying FutureAdvisor, it had not been fast in getting to market like Schwab and Vanguard. As other asset managers, like Fidelity, and traditional wealth managers, like BAML and UBS, offer their own roboadvice, the writing is on the wall. You either have the digital asset and are able to use it to compete for the distribution of future wealth, or your firm becomes a utility. The second angle is around building out the full wealth tech platform. It is not enough to own a Millennial-focused roboadvisor (FutureAdvisor) or an enterprise-grade risk engine (Aladdin). The firm also needs to have trading, performance reporting, financial planning, client portal, automated billing, online account opening, and many other emerging features. BlackRock has been investing or purchasing some of these firms, but it is a long way to being Envestnet, or fostering the ecosystem of a Pershing or TD Ameritrade. So it makes sense to build a concerted effort around this if they believe in a tech-forward future. The third angle is that this is an overdue clarification of the digital strategy. Prior and through the FutureAdvisor acquisition, BlackRock had opened its doors to partners to support channels they were not ready to pursue. Their enterprise focus meant starting conversation wth $50B firms, not $50mm RIAs. But it's impossible to be open and closed at the same time -- meaning you either have an ecosystem of partners, or you focus on pushing proprietary solutions. This announcement shows their interest in leaning into owning the asset, and using tech as a growth vector. We still need humans to figure out how to value new assets like crypto tokens. Or do we? In what seems like an incredible story, $96 billion asset manager Man Group outlined exactly how it is already using artificial intelligence to help trade its portfolios at scale (on some products, not all). To quote directly: "By 2015 artificial intelligence was contributing roughly half the profits in one of Man’s biggest funds, the AHL Dimension Programme that now manages $5.1 billion, even though AI had control over only a small proportion of overall assets." The firm has since decided to use AI as a cornerstone across trading and investment selection, running neural networks on massive data sets in both supervised and unsupervised learning approaches. This requires a big infrastructure: terabytes of data worth of financial information, weather forecasts and global shipping schedules on specialized computers running deep learning software. Investment management product manufacturing is a particularly thorny problem for AI. Unlike computer vision (concerned with finding a cat photo in a sea of dog photos) or even lending/insurance underwriting (allowing new data to proxy for risk), figuring out what variables to solve around or even what data to use is much more nebulous. As the article describes, data is noisy and outcomes are uncertain. Yet we are likely to see more of this type of machine intelligence, not less. For example, Wells Fargo is augmenting its equity research analysts with a AI bot of their own. Earnings are a narrower problem and MiFID II will push prices of humans down. How will we visualize these artificial intelligences? While they live inside voice interfaces in the current platforms, that may not be sufficient to actually trust Man Group or Wells Fargo's automated investment philosophy. Even Millennials still like to have a human face on their roboadvisor. 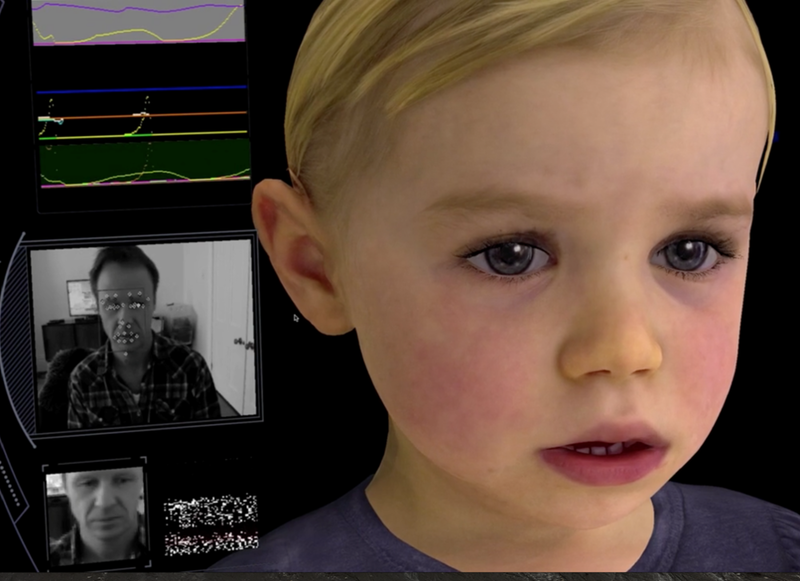 Perhaps something like this smart hologram from VNTANA or this virtually rendered baby from Soul Machines? These AIs will need to manufacture some empathy before selling us mutual funds! WEALTH MANAGEMENT: Who is the Worst Performing Roboadvisor? Back to a simpler time -- roboadvisors. Research firm BackenDBenchmarking opened up portfolios across the usual digital wealth suspects in the United States to see how their investment performance stacks up over the last 12 months. 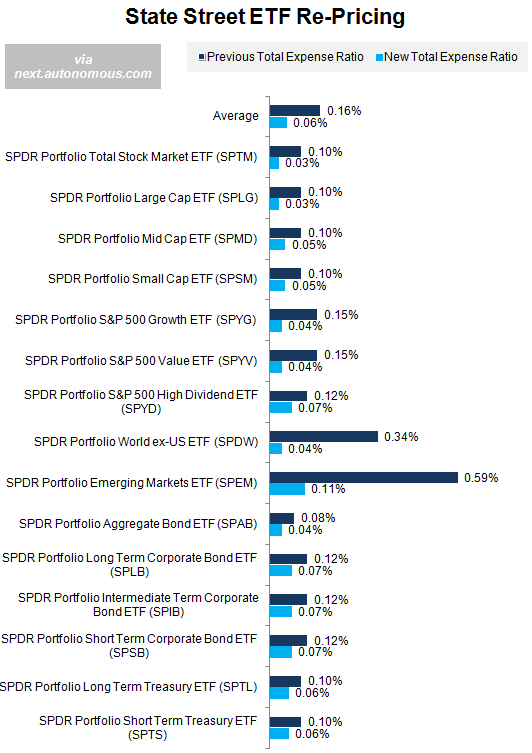 The portfolios were intended to seek a moderate asset allocation of roughly 60% stocks and 40% bonds, and the results can be seen in their chart below. The average return was 10.6% for the year, with Schwab's service reaching 11.94% and Acorns coming in last at 7.4% per year. Betterment outperformed Wealthfront, and Vanguard beat Personal Capital. More telling are the efficiency ratios -- how much did holders pay for their units of Return with units of Risk? Nothing too fancy, just a Sharpe Ratio. Here, Acorns does noticeably horribly, coming in at nearly half of best performer E*Trade. FutureAdvisor also had a meager performance, which is surprising given their BlackRock affiliation. So are these numbers at all useful? Not really -- they are the wrong way to look at digital wealth management. In the world where brokers sell investment product, this type of horse-race about which portfolio has the best return may make sense. But that world is a decade gone. Humans using roboadvisors care about fulfilling their financial goals and having a non-stressful user experience, not just raw returns. To that end, the useful metrics for these services should be around customer satisfaction, net asset flows, engagement and education, asset retention during crises, and the avoidance of behavioral biases. Selling digital wealth as net investment performance only hurts industry participants, as it optimizes them around metrics that are not the primary motivator for consumers of the service.